Kevin Smith Wants To Do “Clerks III” On Broadway. | The Cineaste's Lament. ← You Can Own District 12 For $1.4 Million. 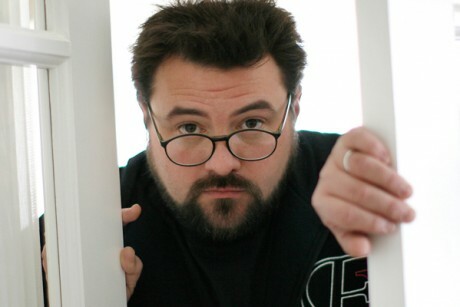 Kevin Smith Wants To Do “Clerks III” On Broadway. “Smith’s convenience-store drones and derelicts introduced Smith’s Jersey brand of profane wit in 1994′s “Clerks,” and a successful 2006 sequel proved that audiences hadn’t had enough. Smith’s retirement threatened to kill any chances of completing the Quik Stop trilogy — a challenge you’d think might tempt the “Star Wars”-obsessed Smith. Well, there is a new hope. Last week, during a book signing in New York, he revealed that his beloved characters might be heading to Broadway. After seeing the hit play, “Seminar,” which reminded Smith of the fundamental stagecraft he used to film “Clerks,” he suddenly envisioned breathing new life into the franchise with a stage production of “Clerks III” in 2014 to celebrate the 20th anniversary of the original. This entry was posted in comedy, Film News, Sequel-Itis and tagged Clerks, Clerks III on Broadway, Kevin Smith. Bookmark the permalink.